Nobel Peace Prize recipient and Director of the Purdue University Climate Change Research Center, Dr. Otto Doering, recently gave a keynote speech where he highlighted his definition of Wicked Problems facing the globe and the US. In brief, he used US struggles regarding affordable health care and the debate regarding the Affordable Health Care Act as a prime example of a Wicked Problem. Regardless where one might stand politically on such an issue, it is clear that the issues of affordable health care and potential policy solutions are of great importance to many, with its tentacles reaching into vast and diverse sectors of our society. No clear consensus on how to solve the problem appears to be present, due to the complexities and interrelationships involved. In particular, solutions can be shown to result in a cascade of unknown consequences, either positive or negative, with individual stakeholders holding a diversity of economic, personal and social viewpoints. Many of the global threats facing humanity (i.e. climate change, availability of clean water, feeding a growing world population, changes to land use, chemical pollution, loss of biodiversity, etc.) are by his example, Wicked Problems, and importantly, intimately related to agriculture. As our country becomes more urbanized and our connection to the land, farming, and farmers becomes more remote, it is important for Land Grant Universities, such as WSU and its Center for Sustaining Agriculture and Natural Resources (CSANR), to coordinate, implement, and supply research, education and outreach to the public regarding agriculture’s role, both positive and negative, in these global threats. 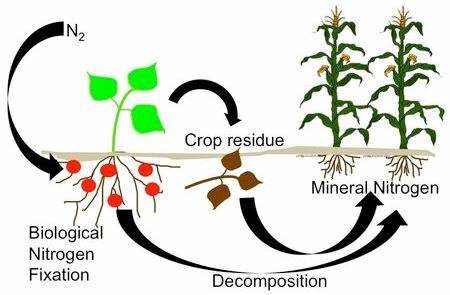 The specific Wicked Problem for which Dr. Doering’s comments were prefaced is in relation to an often under-recognized and misunderstood concept called—Reactive Nitrogen. On Earth, we live in an atmospheric sea of nitrogen, with air being composed of 78% nitrogen gas. As a former high school chemistry teacher, I cannot help but forward a bit of chemistry to the story, noting that this nitrogen gas comes in packets containing two nitrogen atoms connected through a strong triple bond of electrons. Amongst the litany of chemical or physical bonds that exist in our material world, this triple bond is among the stronger, making the breaking of the bond and this packet of nitrogen gas quite difficult (and of great importance to our modern yet troubled world, the reverse or forming of this bond releases great amounts of energy, allowing for nitrogen-based explosives). Thus, most of the nitrogen we live amongst is considered rather non-reactive, staying in its present relatively innocuous form, as considerable effort by man or nature is needed to alter its form. Nature has found a way to break apart non-reactive nitrogen into more reactive and usable forms, which is important, as a key aspect of our diet is protein, which is made up of amino acids, which in turn contain nitrogen atoms. This natural process is called biological fixation (BF) and it involves either a free standing or symbiotic relationship between microorganisms and particular plants (legumes)—allowing nitrogen gas to be converted to another reactive form of nitrogen called ammonia, which in turn can be converted to even a more plant-friendly form called nitrate. In 1900, it is estimated that in the US, 2 million metric tons (MMT) of reactive nitrogen were released via this natural or cultivated (farmed fields) BF process. Importantly, this was quite near to the total amount produced in the US, as other man-made forms of conversion were not yet invented or were used sparingly. By 2012, the US was annually producing 34.9 MMT of reactive nitrogen—a 17-fold increase. Why/How? Well, by 2012 discovery of energy-dense fossil fuels had spurred the industrial revolution, allowing for not only the direct use of fossil fuels, which can release reactive forms of nitrogen, but its use in a chemical process called Haber-Bosch that can convert nitrogen gas into numerous reactive nitrogen forms preferred by agriculture (ammonia and nitrates) as well as industry (ammonia, nitrates, amino acids, etc.). Of the 34.9 MMT of reactive nitrogen: almost 60% was via man-made, non-BF processes, and if you consider cultivated BF a man-made process, nearly 80%. But why is this important and what are the consequences? In 1900, it can be assumed that all of the reactive nitrogen was utilized by the microorganisms or plants, ultimately working their way in various forms, to animal and human diets, and their tissues. Very little of these reactive forms of nitrogen entered our air and water, with the little that did, resulting from some inefficiencies and disposal of wastes, and at a concentration or rate that our ecosystems could handle. This is important as entry of reactive nitrogen into our air and water can lead to smog, biodiversity loss, climate change, forest decline, crop yield loss, water acidification, hypoxia of our waterways and gulfs, algal blooms, and even negative human health conditions or death. Note the immense impact of small packets of reactive nitrogen to our world, a truly Wicked Problem, with its tentacles reaching down to groundwater, into space, and within our own health and mortality. Because of the glut of man-made reactive nitrogen made available after the industrial revolution as well as from population and financial pressures, much, much more reactive nitrogen is being wasted or disposed of, finding its way into our air and water, exceeding our natural system’s ability to deal with the problem and maintain effective equilibrium. The result is burgeoning examples of the aforementioned negative consequences to our eco-system, some directly viewed or recognized within our daily lives (e.g. 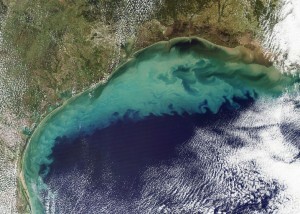 algal blooms; dead zones) and others more delayed or hidden from our awareness (e.g. N2O released as an invisible greenhouse gas; nitrates dissolved in well water) —another factor of a truly Wicked Problem. Reactive nitrogen is key to agricultural food production but devastating in excess. What is to be done? Well, we obviously cannot revert away from our industrial, modern world with a growing population in need of the processes that produce reactive nitrogen. We can, though, make strides in reducing the production needs and waste produced during every step along the process. For example, agronomists and animal scientists as well as fertilizer engineers can enhance reactive nitrogen use efficiency (NUE), achieving the same or even increased yields in grain and animal products with less nitrogen input. Farmers can practice precision farming—assuring less nitrogen leaves the field and is instead taken up by crops. Wastewater engineers can design recovery technologies to pull reactive nitrogen out of the air or water, concentrating it for economic re-use within our agriculture. Every day citizens can increase their efforts to live a more sustainable life, reducing the use of reactive nitrogen-intensive products and not disposing of waste materials in non-recyclable ways. Mitigation will require a global, human-wide, industry-wide approach, to be accomplished against a backdrop of known, competing interests. Wicked Problem indeed.